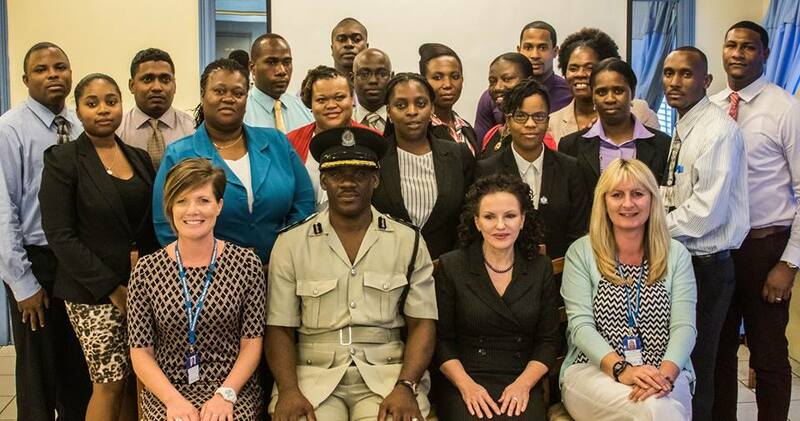 Several officers from the Royal Montserrat Police Service (RMPS) have completed level one of a course to improve their investigation techniques. On Friday, January 22, 2016, the closing ceremony for the intensive two-week course was held at the Police Headquarters in Brades. 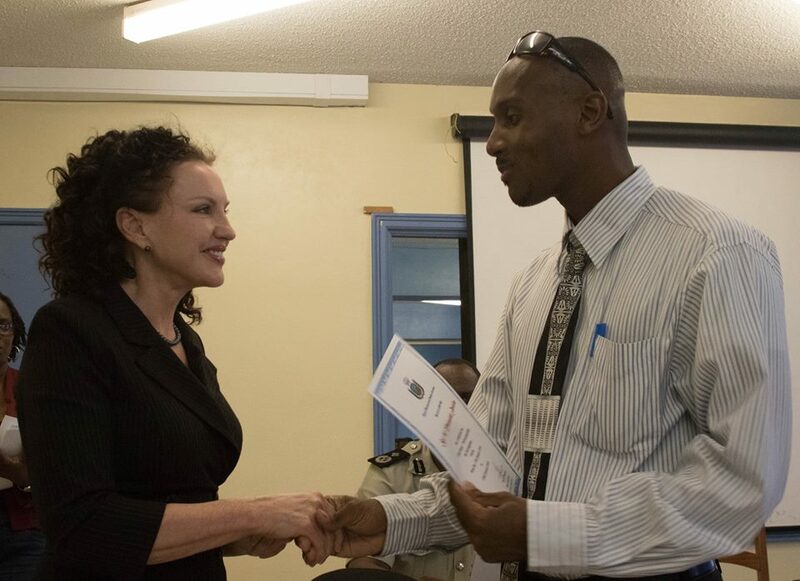 Her Excellency the Governor Elizabeth Carriere were on hand to present certificates to the attendees. 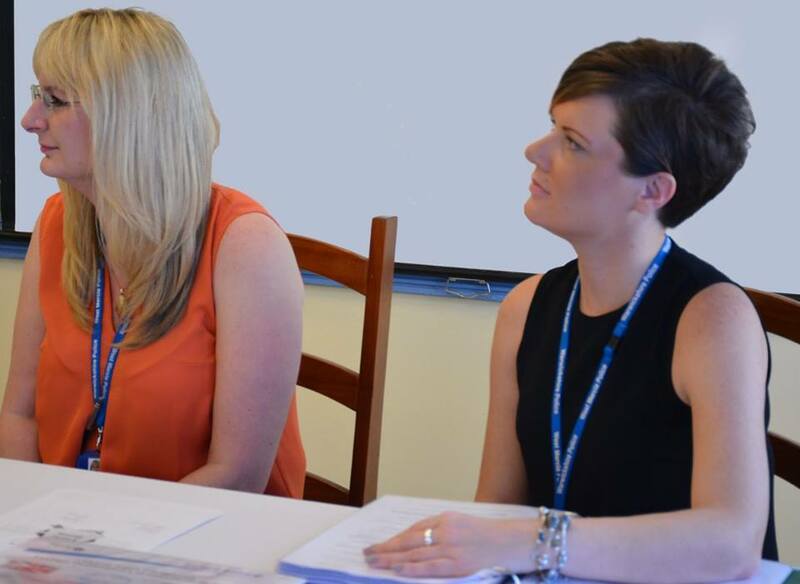 Professionalizing the Investigation Process Level 1 was taught by Detective Sergeant Gail Smart and Detective Constable Michelle Clarke of the UK’s West Mercia Police Constabulary. 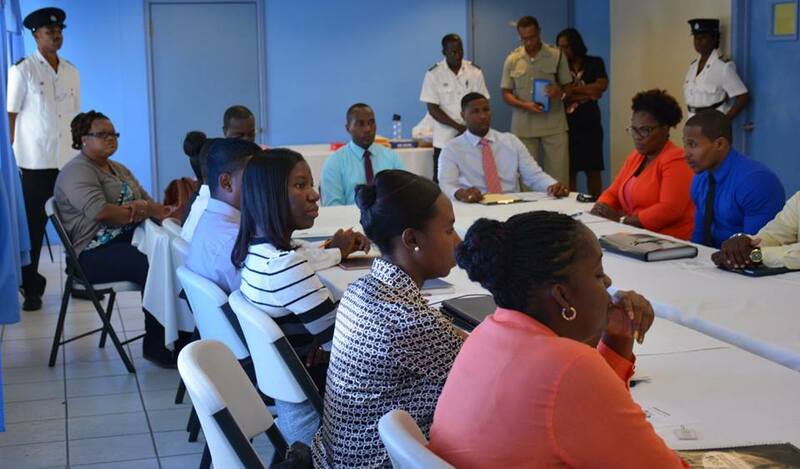 Taking the course were 11 officers of the Royal Montserrat Police Service, a member of the Social Services Department, two officers from the Turks and Caicos Islands Police Service and three officers from the Royal Anguilla Police Force. They were taught interview techniques and procedures when handling or investigating child abuse cases. The training was supported, arranged and funded by the Department for International Development (DFID), the Foreign and Commonwealth Office, the Lucy Faithfull Foundation and West Mercia Constabulary.